Although spring has sprung, be cautious when planting. These warm Utah temperatures have tempted gardeners to get a head start on their crops and gardens. But don’t be fooled! Utah is notorious for sudden weather changes and frost is still likely to occur this time of year. This unusually warm weather has gardeners itching to get in the dirt. It is exciting to think of all the possibilities this warm weather has welcomed. 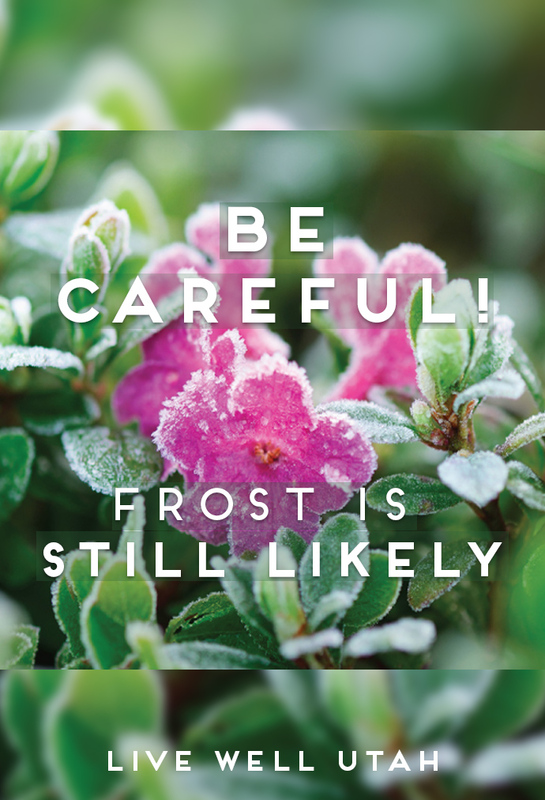 However, please remember that frost is still likely and can directly affect your growing season. This depends on your individual location and garden setting. Mountain benches have longer growing seasons. Urban and suburban areas are slightly warmer due to the urban heat effect, which could delay frost. • Hardy vegetables, including asparagus, broccoli, cabbage, onions, peas and spinach, can be planted as soon as the soil is workable in early spring. This usually ranges between 45 and 60 days before the average last frost. • Semi-hardy plants, such as beets, carrots, lettuce and potatoes, can be planted one to two weeks after the hardy group. • Very tender plants, such as squash, beans, melons, tomatoes, eggplants and peppers, should not be planted until at least a week after the average last frost. If you have lost plants to frost, you are not alone! All you can do is try again. For more information on fruit and vegetable gardening, visit the USU Extension website at: https://extension.usu.edu/yardandgarden/. This article was adapted by Leah Calder, a USU Extension Marketing Assistant. It was taken from an earlier article written by Taun Beddes, Utah State University Extension horticulturist.